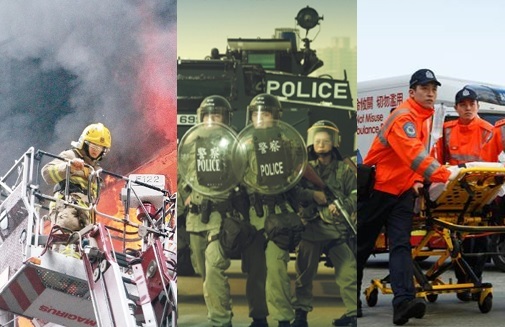 "Highlights of Annual Conference on Disaster Preparedness and Response 2018"
The Annual Conference on Disaster Preparedness and Response (ACDPR) 2018:“Emerging Challenges and Opportunities Ahead”, was organised on the 13th January 2018 by the Hong Kong Jockey Club Disaster Preparedness and Response Institute (HKJCDPRI). This third Annual Conference of the ACDPR series aimed to bring about insights into innovative and practical solutions for tackling emerging disaster risks, especially in a context of and perspectives from metropolitan cities as where we are living in. The HKJCDPRI would like to share with you some highlights of the conference in webcasts. Management of disasters, like most major incidents, can be divided in three phases, i.e. Before, During and After. Actions taken during each phase are, respectively, Prevention & Preparedness; Response and Recovery. The role of a senior leader in the disaster management team is essential at each of these three phases. In this respect the Plenary speaker will share his personal experience in handling major incidents with the audience. Target audience will be professionals as well as individuals and organisations from both the public and private sectors involved in disaster preparedness, emergency response, public health emergency preparedness and response and community-based disaster preparedness.